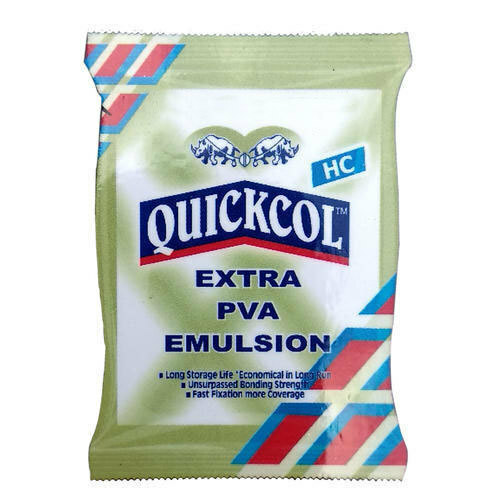 We are one of the most reliable companies in this domain and are into offering Wood PVA Emulsion. Packaging Details Standard Packing Sizes: 0.5kgs pouch and 1 kg pouch 0.5kgs/ 1kgs/ 2kgs/ 5kgs/ 10kgs/ 20kgs/ 50kgs Carboys. Packing can be customized as per customer requirement for bulk orders. “J & J Impex” has made an enviable presence in the industry as a Sole Proprietorship based firm which is headquartered at Bengaluru, Karnataka. Since 2016, our company is engrossed in this occupation as the leading Manufacturer and Exporter of Synthetic Resin Adhesive,Water & Heat Proof Adhesive, PVA Emulsion, PVA Binder, Polyfix Wood Seal, Masking Tape, Instant Glue, Rubber Adhesive, Synthetic Rubber Adhesive, Membrane Press Adhesive, UPR(45% and 52%), Unsaturated Polyster Resin, Plywood, Doors and many more. Our occupation is primed to become a recognized name of this domain, and for this it regularly put endeavors to enhance it production caliber. We are exporting 25% of our products in the Middle East, Dubai, Iraq, Yemen and Oman.